We Our Generation girls glitter & shine, leaving a dash of sparkle everywhere we go! Make every day shine bright with a little bit of glitter and Our Generation Glitter Tattoo Deco Doll – Adriana! Adriana finds lots of ways to express her personality. She always uses a heart to put the dot on the letter i, she draws really intricate chalk art to decorate her hopscotch grids, and she adds a little bit of extra glitter and sparkle to herself! 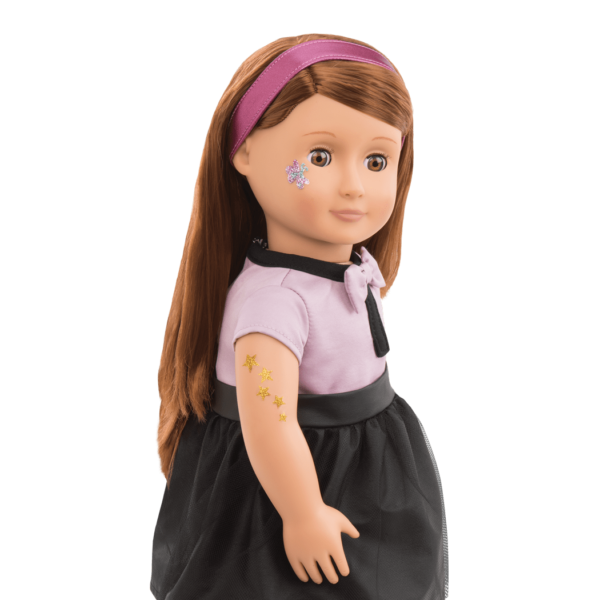 This 18-inch doll has long, wavy auburn (reddish-brown) hair and beautiful hazel eyes. Give Adriana a little extra dazzle by decorating her with temporary glitter tattoos! The handy instruction book tells you how. When you’re ready for a new design, the tattoos rub off so you can start again. Adriana wears a beautiful, modern black-and-purple dress with a bow collar and sheer overlay skirt. Her purple headband and adorable lace socks with flat purple shoes are the finishing touch. Mix and match Adriana’s wardrobe with other OG outfits for endless combinations. 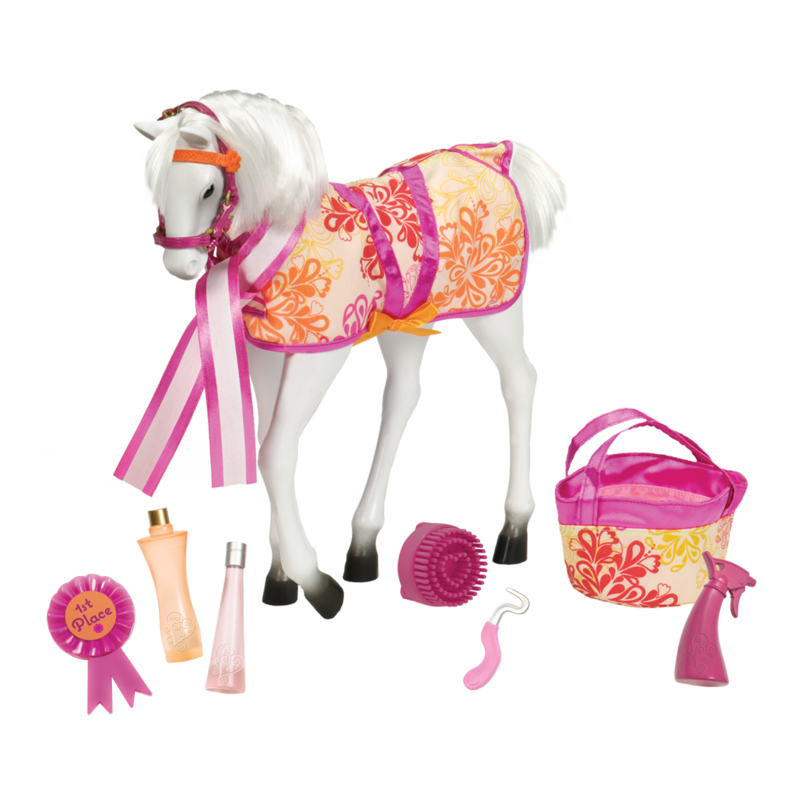 Glitter and shine are some of Adriana’s favorite things, so of course she also loves unicorns! 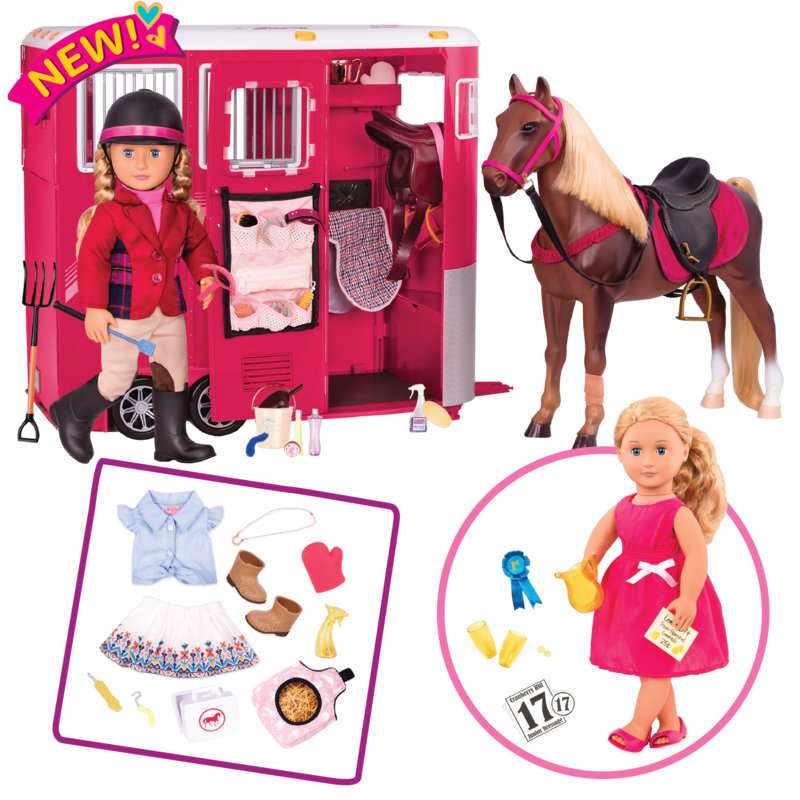 Dress her in the Unicorn Wishes pajama outfit featuring a sparkly star and a miniature plush unicorn for dolls! This outfit is so cute it practically guarantees sweet dreams for your dolls! 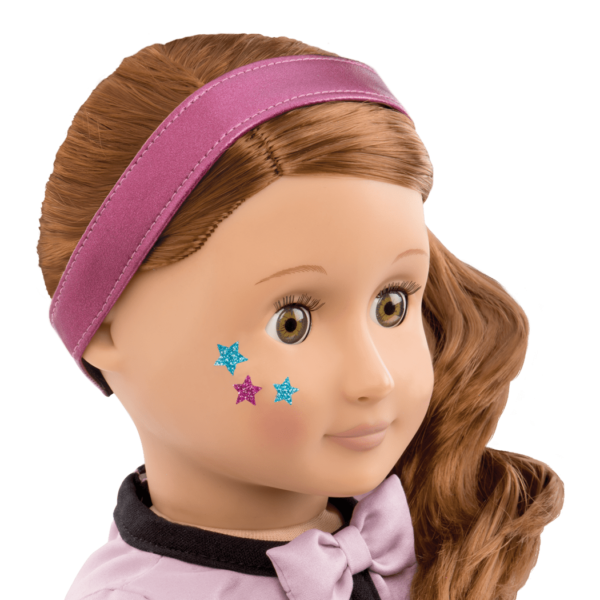 Adriana loves her glitter tattoos, but there are lots of other ways for her to get “all dolled up!” Check out the Let’s Hear It for the Curl set, which comes with doll hairstyling accessories so that you can give your doll temporary curls! 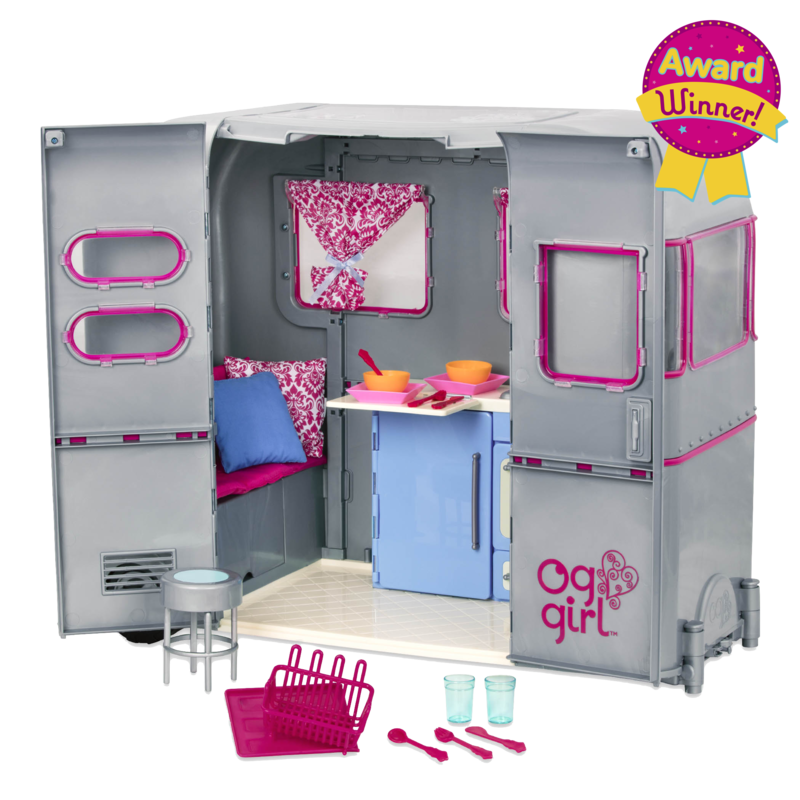 Set it up along with the Sitting Pretty Salon Chair and you can create a super-cool doll hair salon! Adriana is an Our Generation Deco Doll who has lots of fun expressing herself with glitter tattoos! Glitter is gorgeous, but it does have a habit of getting into places that you didn't intend! 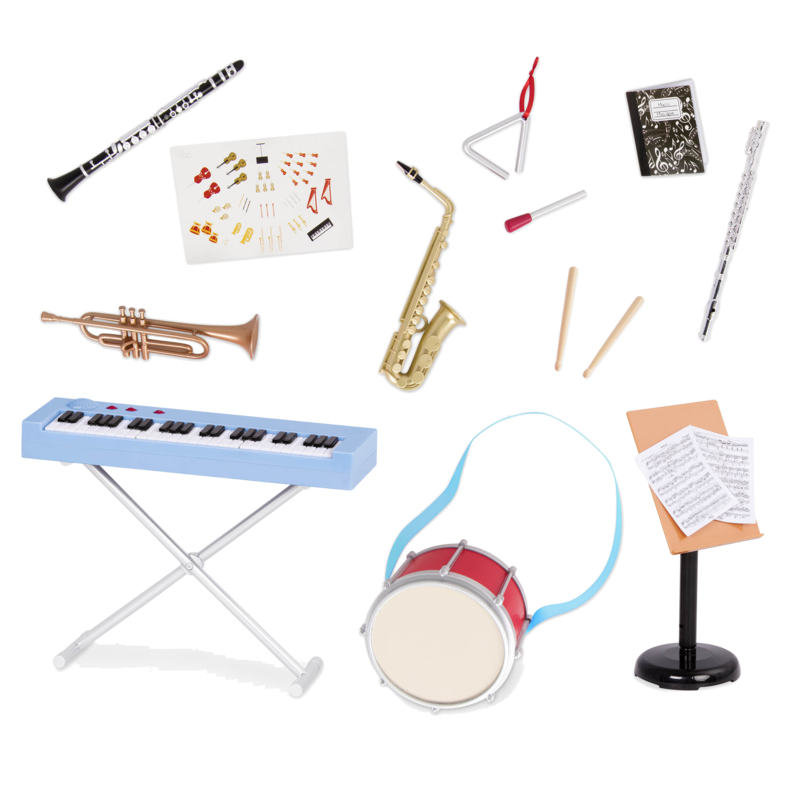 It's always a good idea to cover your work area with an old newspaper or a plastic sheet to protect other things from getting glittery without your permission! To apply a glitter tattoo to your doll, first choose your stencil and position it where you want the tattoo to be. Using the bottle of glue, gently brush the glue over top of the stencil – all the way to the edges. Next, sprinkle some glitter over top of the stencil and glue until the stencil is filled in. 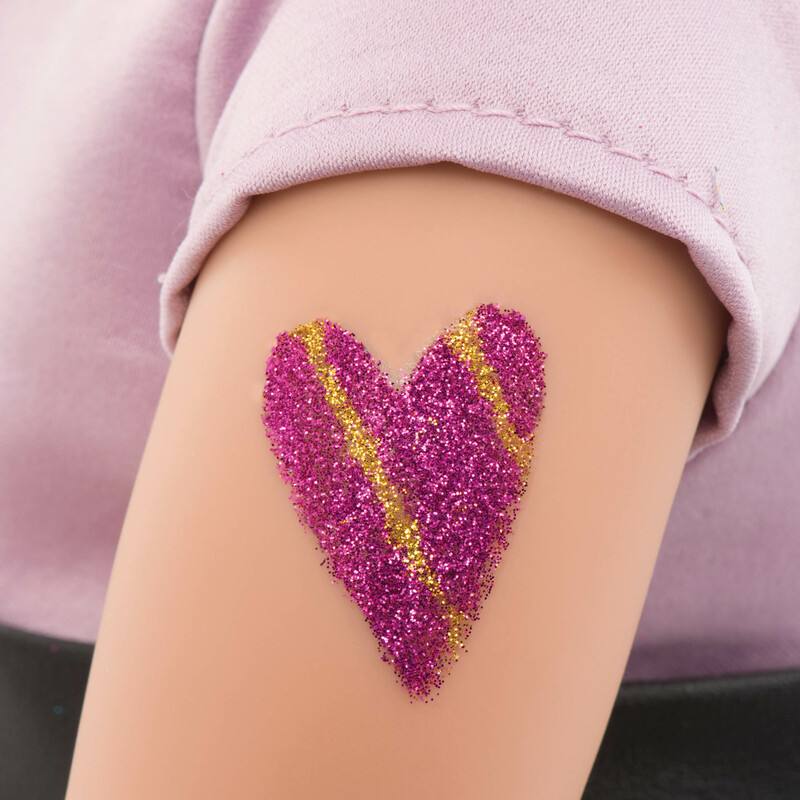 Finally, peel away the stencil and have lots of fun showing your other doll friends your cool new glitter tattoo! To remove your glitter tattoos: Simply wet a paper towel or kitchen cloth with water and gently rub the tattoo away until it's gone. 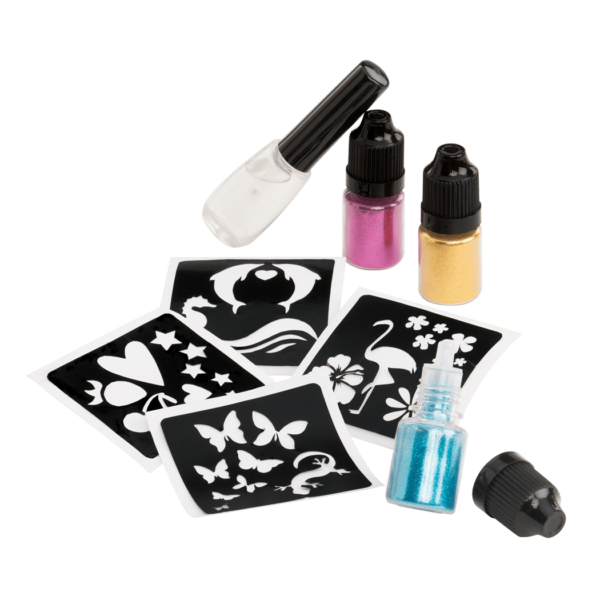 Your tattoo stencils can be cleaned the same way! Adriana arrives wearing her hair long and loose, but you can style her hair in a lot of different ways! 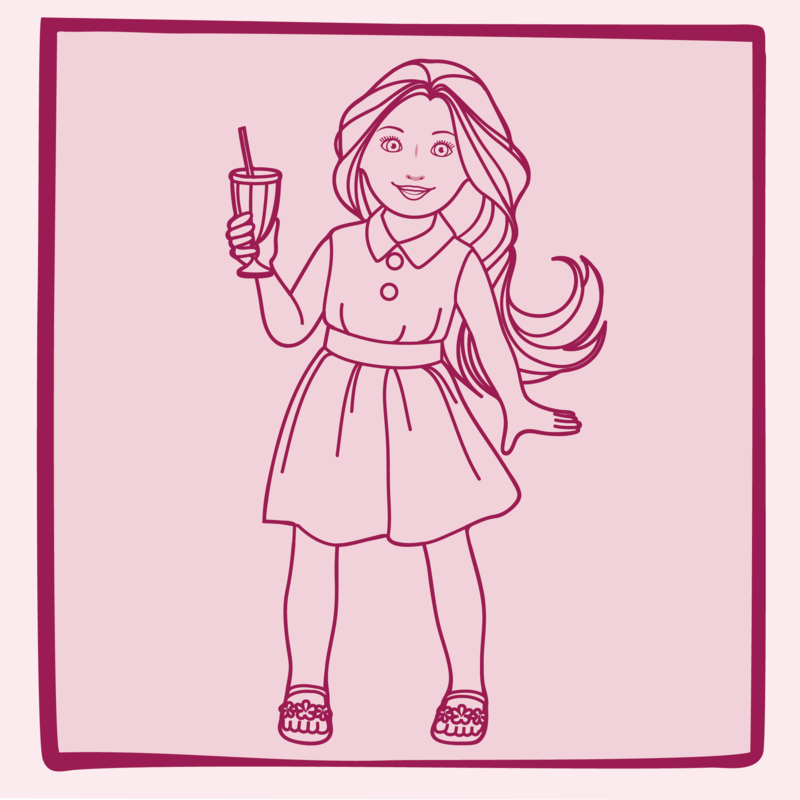 For dolls like Adriana with wavy hair, we recommend using a wide-tooth, flexible comb and always working with very small sections at a time.